This year, both the British Museum and the Tate Britain marked 50 years since the passing of the Sexual Offences Act, which partially decriminalised male homosexuality in England and Wales, with exhibits that illustrated the presence of various expressions of queerness throughout history. 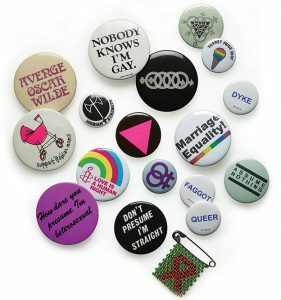 The exhibits draw connections between artworks and artefacts through time in order to convey the long and interconnected histories of the LBTQ experience. In doing so, both the Tate Britain’s Queer British Art 1861-1967 and the British Museum’s Desire, Love, Identity: Exploring LGBTQ Histories reclaim lost or invisible narratives of the past, and demonstrate how we can come to engage on a deeper level with concepts such as gender and sexuality by re-memorializing and re-evaluating examples throughout history which challenge the dominant narratives that often erase marginalised identities. Indeed, the major strength of these exhibits is that they offer an example of how to return to images and items from the past and utilise curation to challenge prevailing dominant understandings of the past generally held by society and show that diversity of gender and sexual identity far outstretches the narrow trajectory suggested by much of our contemporary media sources. However, in spite of noted collaboration from LGBTQ groups in the case of both exhibits, criticisms point to the lack of diversity reflected in the exhibition and the marked attentiveness to white male cisgender members of the LGBTQ community. This attentiveness arguably highlights the already most visible group that belong to this much wider community, and fails to consider the greater necessity to make such exhibits a space where more marginalised stories can emerge and provide some audiences with their first experience of identification with an object of art or artefact in such a traditionalist cultural venue. In some cases, it even excludes some of these other identities altogether; I noted a couple of comment cards at the end of the Queer British Art exhibit which expressed a tangible sense of anger and frustration at the absence of any works which represented their experiences of queer life. Perhaps part of the trouble, is the suggestion in the descriptors ‘queer’ and ‘LGBTQ’ in titles of these exhibits of the level of inclusion and the diversity to be expected from these curated collections. Their titles imply a more balanced narrative than the reality, which is unsurprisingly dominated by white cisgender men. This imbalance is particularly noticeable walking around the Tate’s Queer Art exhibit, while the global stretch of the trail at the British museum affords more opportunity to convey sexual and gender diversity across cultural and geographic locations. There is certainly a slanted portrayal of the LGBTQ experience present in both exhibitions which leaves visitors from within these communities and others already aware of the true diversity contained within the term ‘queer’ feeling somewhat disappointed, or at least, feeling like this might be a bit basic for 2017. But although these exhibits were admittedly flawed in several ways, they also spoke to many people who felt their voices had been silenced up until now in such spaces, as indicated by other comment cards left at the exit to Queer British Art which expressed a poignant sense of appreciation for the positive work done by the exhibit. Despite their failings, these shows entered into relevantly un-trodden territory for the conventional world of art and history engaged with in institutions like the British Museum and the Tate Britain. I see these efforts as a beginning to a wider cultural project, not as finished products. In curating these exhibits with the intention of telling untold or under-told stories through combining pictures already included in public collections, these projects have ushered in the possibility of returning to what we think we know of the past, and re-reading artworks and artefacts which will expand our vision of the world and the identities and sexualities contained within it. I am hopeful that future attempts at such curatory projects will cast their net even wider, becoming increasingly more inclusive and with increasing swiftness move away from any individual dominant identity to reflect the true diversity of the human experience.